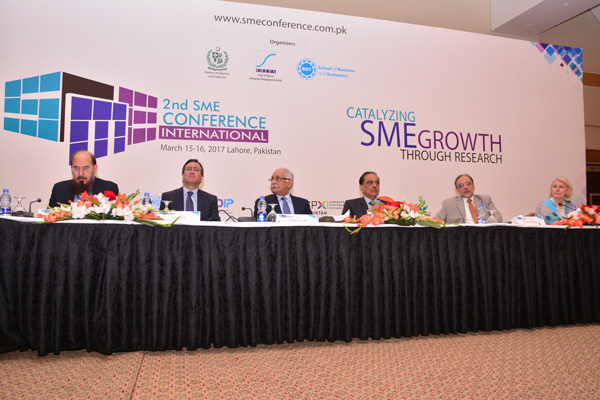 The inaugural session of the conference was attended by Dr Hasan Sohaib Murad, Rector UMT, Sher Ayub Khan, Chief Executive Officer, SMEDA, and Bob Wheeler, Dean SBE. A large number of SME professionals, business represenatives, researchers, faculty members and students were also present on the occasion. 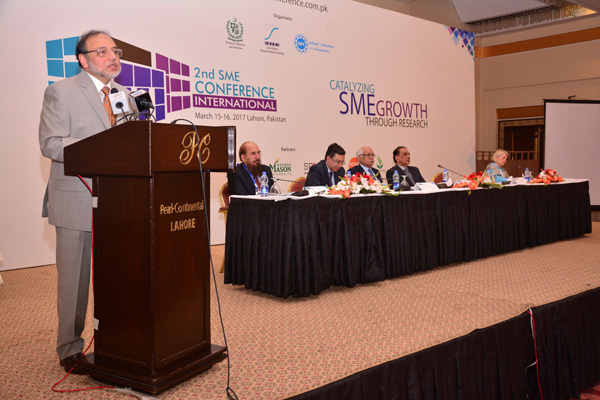 Dr Hasan Sohaib Murad addressed the inaugural session. He congratulated the organizers for holding an international conference this year. 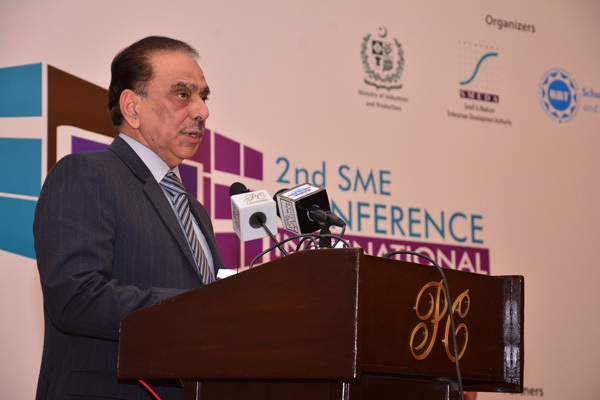 He emphasized that developing the small and medium business sectors is essential for economic development. 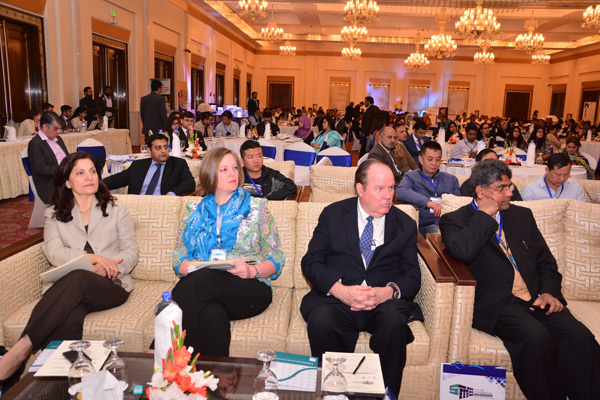 It is worth mentioning that conference partners comprise of University of Lahore, UNIDO, George Mason, SPX Pakistan, bcned and Akhuwat.